Borussia Dortmund defender Mats Hummels says he is in much better shape than this time last year, as he bids to help his side challenge once again in the Bundesliga. The 26-year-old World Cup winner struggled for form in the opening months of last season, with Hummels admitting that he has allowed his conditioning to slide, a mistake he will not make when the next campaign gets underway. I'm coming back in a totally different condition to 2014. He told Kicker: "The first half of last season was probably the worst I have ever played in my life. It was catastrophic for me in terms of my weight. "I actually do weigh less now. I'm coming back in a totally different condition to 2014. "I've eaten well and probably run a bit more during my holidays this summer than I did in all the last (few) years added together." Meanwhile, Henrikh Mkhitaryan says he is also determined to make up for a poor second season with BVB, with the Armenia forward netting just five times during the 2014/15 season. Having been linked with a possible summer exit, the former Shakhtar Donetsk man told Bild: "I like being here and that is what counts. 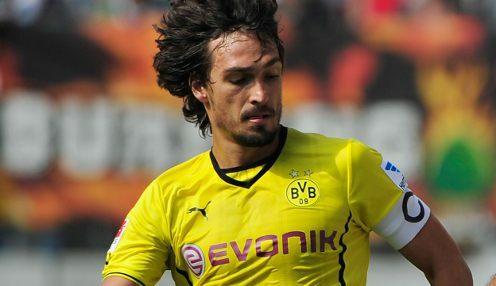 "In the end it was my decision to stay at Dortmund. I have many goals and I want to give everything to prove to everyone that I am a good player. "I never felt that it was a mistake to come here, but of course there were difficult times." Dortmund recovered in the second half of last season to finish in seventh place in the table and are 1/1 to be crowned champions in 2015/16, with Bayern Munich 1/1 and Bayer Leverkusen 1/1.